I didn’t know that the event was actually for high school students from different schools. 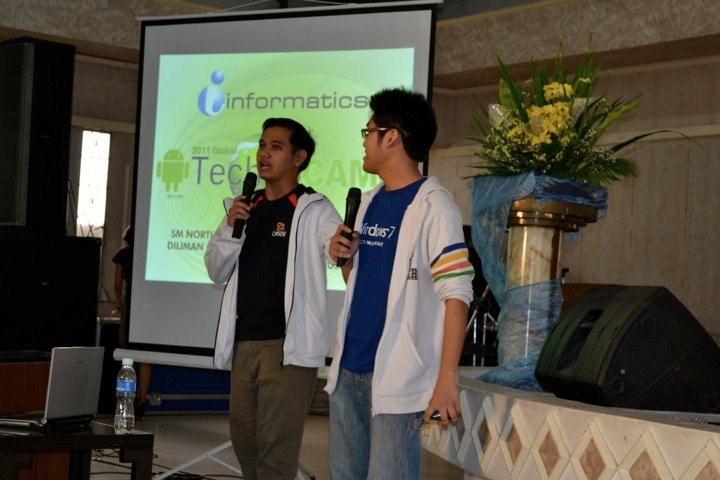 The hosts announced that it is actually consists of 17 Secondary Schools and some students form Informatics. and the hosts also said that they’re showing it to a cable channel. I just forgot what network is that. 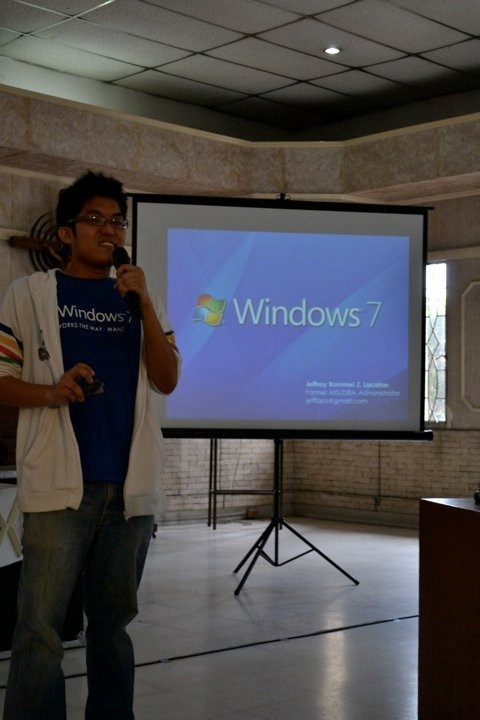 Jeffrey talked first, his topic is all about Windows 7. Tips and tricks. 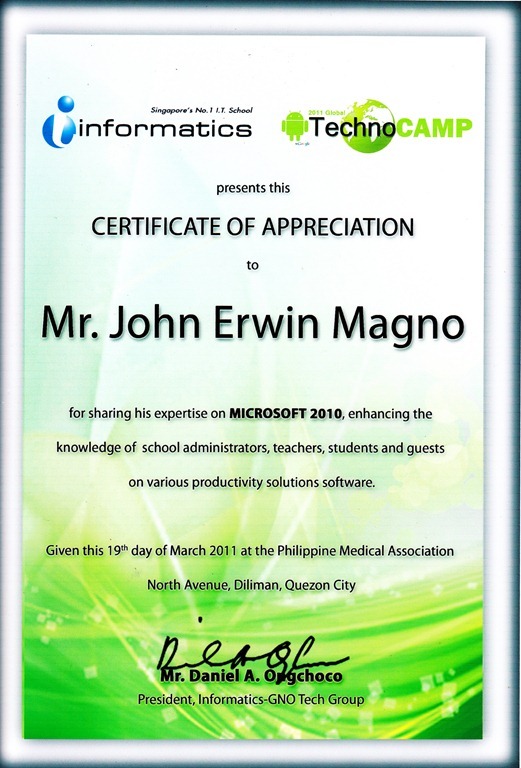 Then after him, was me of course my topic was all about Microsoft Office 2010. I always ask this to the students every time I’m invited to do speak. 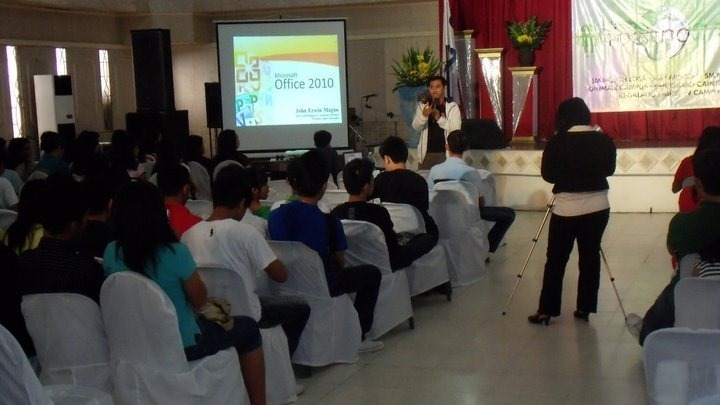 that who among them are using Office 2010? (a little only) majority are still using Office 2003 and 2007. so for those who raised their hands that uses Office 2010. a asked them, do you utilize the new features it offers? Guess what only 1 of them from the audience are using it, but he said he only knows a little. Next, Excel 2010, I started by showing the grades of my students to them, made a Line graph and asked them how to interpret the data if a certain student is passing or not. So I start my demo in excel using SparkLines. followed by Improved Filter and of course the Slicers from Pivot Table and Chart. Since there’s no internet access, Co-authoring feature, Broadcast Slideshow, Insert Video from website and other Web Based features are not discussed. but I showed a video to them. that indeed a lot learned from our talk. My expertise here should be Microsoft Office 2010. anyway what’s important I impart my knowledge to the audience very well. This entry was posted on Monday, March 21st, 2011 at 6:09 am	and posted in Talks. You can follow any responses to this entry through the RSS 2.0 feed.